Aravalli word is originated from Hindi Literature which means “line of peaks”. The Aravalli Range is the oldest range of Fold Mountains in India. This range joins Aravalli Craton and Bundelkand Craton which are ancient Earth’s crust segments. This Range of mountains was extremely high at the time of its origin, but has worn down almost completely by weathering of millions of years. The estimated age of Aravalli Range according to geologists is about 350 million years. 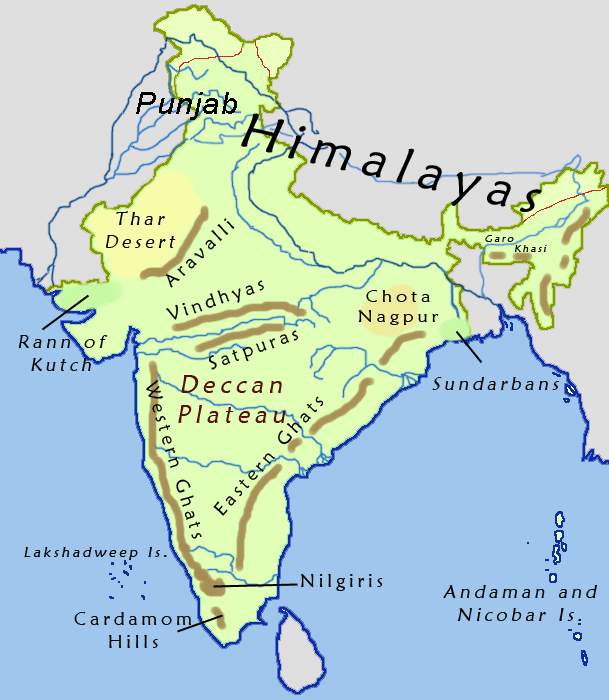 As for now the Aravalli Range of mountains is approximately 692 km in the north–west part of India. It starts from Delhi and pass throungh southern Haryana and across the states of Rajasthan which ends in Gujarat. The highest peak of Aravalli Mountain Range is Guru Shikhar which is situated in Mount Abu with an altitude of 5650 feet. This range being the oldest fold mountains have stopped growing higher due to cessation of movement of the tectonic plates in the Earth’s Crust below them. The Aravalli Range acts as a barrier against the hot sand of the Thar Dessert. 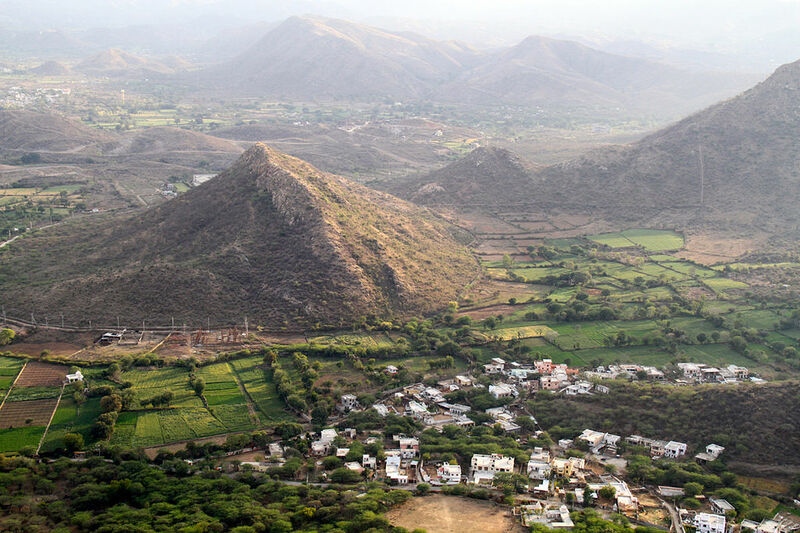 The highest portion of Aravalli Range in Rajasthan is a plateau known as ‘Bhorat’, which lies between the forts of Kumbhalgarh and Gogunda with an estimated height of 4020 feet. The Aravalli Mountain Range helps in cutting of sandstone. The mountains are very rich in minerals and act a source of Rajasthani marble, granite and sandstone. Vegetation of Aravalli Range helps in the formation of clouds over the desert plains. Rivers originated from this range include River Luni, Sakhi, Banas, Sabarmati and Sahibi. Important medical herbs such as Guggal, Moosli, Amla and Khadaya can be found in deciduous forests of Khair, Salai, Khakhara, Timru and Modad which covers the hills. 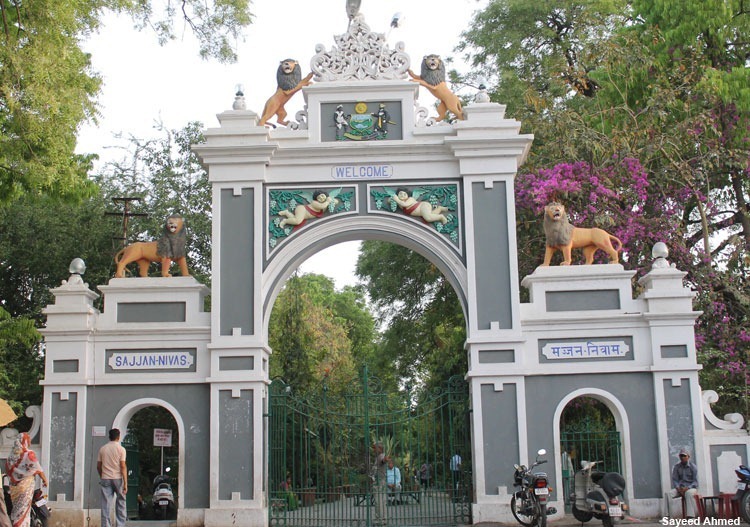 A variety of animals such as fox, Indian pangolin, porcupine, star tortoise, blue bull, leopard, Indian civet, sloth bear, striped hyena and many venomous & non venomous species of reptiles can be found on the hills of Aravalli Range. Birds such as white backed vultures, spoonbills, black vultures, osprey and storks are generally found on this range of mountains. It is said that the Range of hills might get diminished in the near future as its origin took place decades ago. 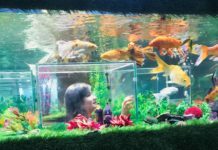 Aravalli Mountain Range plays an important role in beautifying the City of Lakes; well imagine lakes of Udaipur without the background of the alluring mountain range adding glitters to the scenic beauty of Udaipur. Udaipur along with its lakes lies on the south slope of Aravalli Range in Rajasthan. Aravalli Range separates Udaipur from the Thar Dessert. Desuri Nal and Saoke are two important passages in the Aravalli Range which serves as a link between Udaipur and Jodhpur. 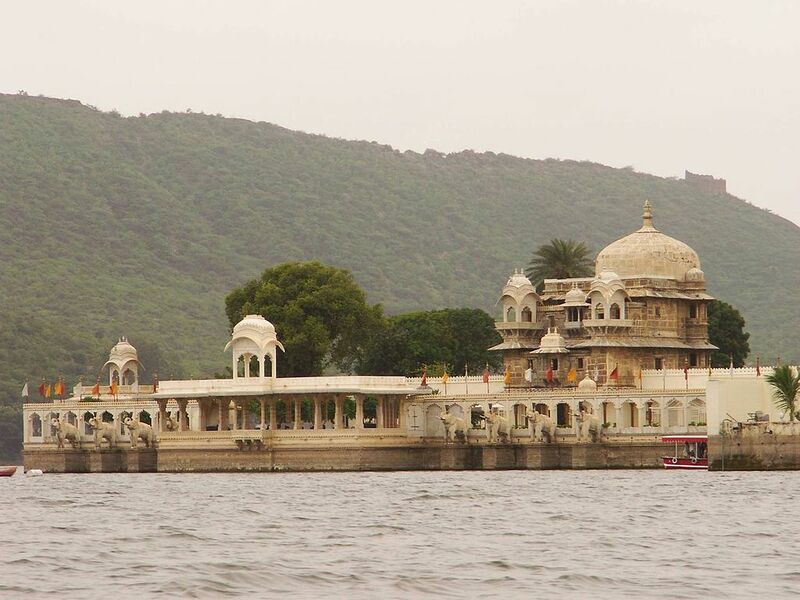 Lake Fatehsagar which is one of the most fascinating lake of Udaipur is surrounded by the Aravali hills. 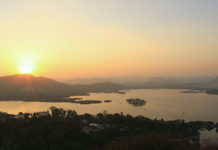 The Aravalli Range of hills also plays a major role in the climate changes of Udaipur. In 1568 Chittor was attacked by the Mughal emperor Akbar, then to ward off this danger Maharaja Udai Singh Ji took the action to shift the capital of his Mewar Kingdom to Udaipur as it was safe under the fortifications made by Aravalli Range of Mountains. The Aravalli Range of mountains acted as a barrier from the Mughals as it was unsuitable for heavily armed Mughal horses to climb mountains. Because of the Aravalli Mountain Range, Maharana Udai Singh Ji discovered Udaipur and later all the palaces built by the Mewar rulers now serve as the major attractions and tourist spots for the city. Captured the charismatic beauty of the City of Lakes surrounded by the Aravalli Range? Send in to us, we’d love to provide it a free shout-out on our Facebook and Instagram networks! Don’t forget to like, share and subscribe to My Udaipur City. Send in your queries, suggestions and views in the comment section below.